Part of the McKenzie Smaller Living Spaces Collection and made of Alder wood and proportioned and scaled for smaller master bedrooms, condo living, kids and teens. Features: 8 drawers, English dovetail drawers, mortise and tenon joinery, fitted backs, dust bottoms, adjustable glides and tipping restraints. Drawers come with full-extension, metal ball bearing slides. 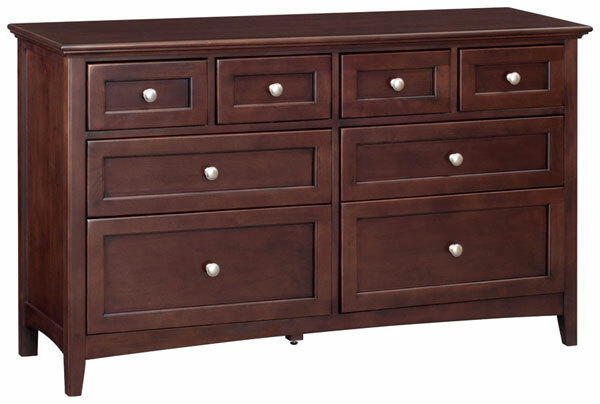 Available in unfinished, Glazed Antique Cherry finish or Caff finish (shown).